Our team only recommends supplies that we personally use. This recipe makes approximately 12-16 ounces whipped. Click the ingredient or tool name below to order directly from Amazon. 1. Do you know that Galbanum is not offered in the Oils of Ancient Scripture collection? Yes, we are aware of Galbanum and Spikenard being “temporarily” removed from the Oils of Ancient Scripture collection. 2. If this oil is not a part of the Oils of Ancient Scripture collection why are you posting a sharing card for it? We had a lot of special request for this because there are quite a few members who have this oil when it was available in the collection . . . therefore, they wanted us to design a card with a user tip. We decided to go ahead and design a sharing card so that when Galbanum comes back into the collection, the card can be moved over to the Oils of Ancient Scripture page and added to the collection. In the meantime, enjoy the usage tip. 3. I do not have Galbanum but would love to make this recipe, can you recommend any oils to substitute for Galbanum? Yes, in place of Galbanum, use 1/2 teaspoon neroli, geranium, or bergamot essential oil, 1/2 teaspoon lavender essential oil, and 1/4 teaspoon frankincense essential oil. 4. Can I ask about other ingredient substitutions? You are welcome to ask but the answer will be the same . . . we’ve only made this Belly Butter with these ingredients (with the exception of the essential oils, we have altered those) so we cannot recommend or say with any certainty that any substitutes would provide the same luscious results as this recipe. 5. Do you know when Galbanum will be back in stock? No, sorry. We do know Young Living will not bring it back until they have a harvested crop that produces the precise levels of certain constituents that are necessary for Galbanum to be the high-quality essential oil we all know and love from Young Living. They do not settle, they will not give us “close enough” . 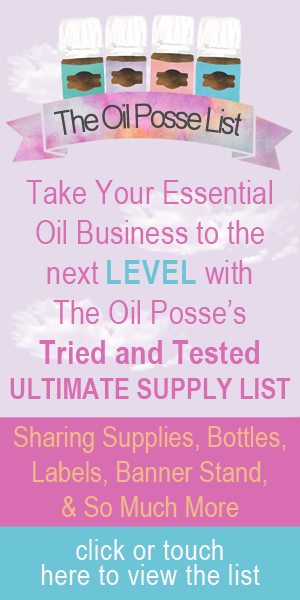 . . we expect and will get nothing less than the purest, highest quality essential oil that nature will provide. Sometimes, it takes several crops (seasons) before that happens. 6. Would you recommend purchasing any other brand of Galbanum? Absolutely not! If the crop this season did not meet Young Living’s high standards why would you want to purchase the lower standard from anyone else? Patience is a virtue. Use the substitutes listed above and wait for the purest . . . the best! 7. I have Galbanum, should I use these and provide samples? We strongly advice against this . . . if someone gave you a sample of a product you could not purchase right now, would it not “miff” you just a bit! Wait and use these when your potential/current member can purchase one of their own. 8. Is this recipe good for pregnant or stretched bellies? Absolutely! The aroma is wonderful and the butters are great for smoothing the appearance of healthy skin. Although, as with anything, please research and make a decision for use that best fits your body and needs. Remember our disclaimer and you are responsible for anything you decide to make and use.